A long time before I became a game designer, I started my art career working on high resolution assets for games and film. Background art, 3D models, textures, characters and the like. So, taking a ‘step backwards’ into pixel art was initially strange for me. My first foray into the world of pixels came about from chance job that appeared with 4J Studios, working on the massively popular Minecraft: Console Edition. Initially I was outside of my comfort zone. But, many of the techniques I had used in previous work transitioned smoothly into my new workflow. The simple purity of pixel art continued to excite me and capture my interest. I kept learning, working on my technique, and I ended up working with 4J for a further 2 years. Pixel Art comes with an array of emotional and nostalgic baggage for most gamers, myself included! 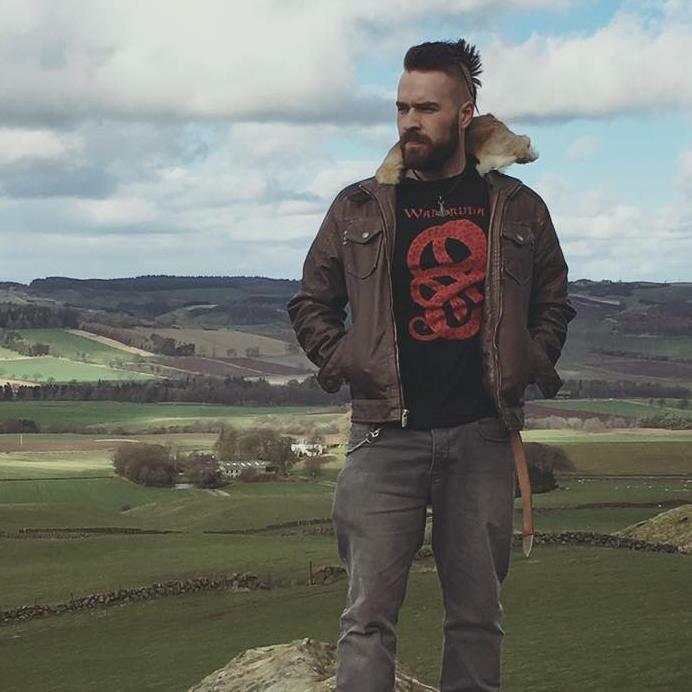 For some, it calls back memories of games we loved as kids. For others, it points to the recursion of simple visuals in indie adventure games that have recently taken the style to a new level in the video games market. I wanted to utilize the new experience I had with pixel art production and play off of the pre-existing views that come with it. But, I wanted bring it to the tabletop – where friends could experience something similar to those classic adventures together, in a fresh setting. 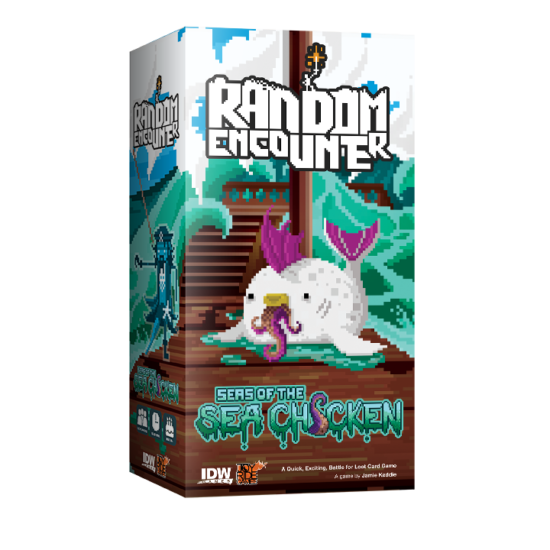 Random Encounter ended up as a game which feels like it hopped straight off of a screen but is still championing a new generation of tabletop games with fun, colourful, characters and a strong sense of self-aware playfulness about it. Vibrant visuals which feel entirely out of place on a table but perfectly fit the style of game and help to bring the unique world to life. My early sketching process for pixel art is much the same as with high resolution work. I usually start with initial (somewhat scrappy) pencil sketches to tie down the idea and the personality of the characters or location and then move straight into photoshop and start blocking out shapes. For colour consistency, I usually have a mood board at hand which includes image from other artists which I like, early tests and colour swatches and helps me keep on track. Working on a standard sized grid and with a static background is another unique challenge. The smaller the character the less room for error there is on the details. Whole images and character personalities can change with the movement of a single pixel. The larger characters need more detail work to make them look convincing. But, if one character becomes overly detailed it can make the others seem out of place. Maintaining constants from card to card is always one of the hardest challenges. I am a little bit of a perfectionist (Ok, that’s a lie. I’m 100% a perfectionist), so I usually start cleaning up the edges of the pixels quite early on to get readable shapes out of the characters or backgrounds I’m working on. It won’t matter to everyone, but to me having lines and curves which follow simple coefficients (known as ‘perfect lines’ in pixel art) are hugely important. This isn’t something you have to worry about in high resolution artwork as a slight variance in a line will go unnoticed. These simple touches allow your eye to define shapes without any difficulty. 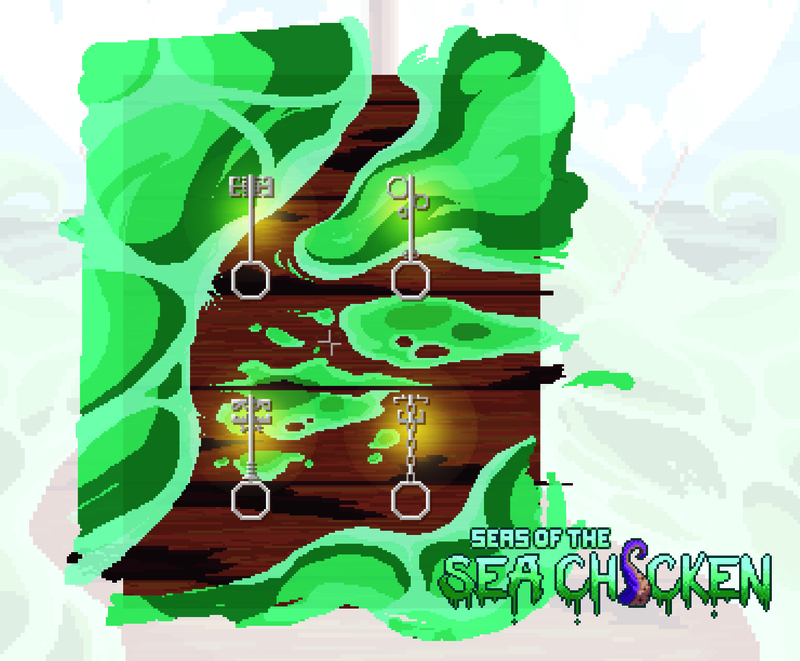 I get to work a little more loosely and skip the sketching phase on bigger background or tiled cards such as the Key Cards (used to open the door to the Final Boss). When I say ‘bigger’ they are still usually only around 300×300 pixels in size. I usually start with large brushes on these and don’t worry too much about spilling outside of the card borders. Once I have the general layout complete I slowly work my way down in brush sizes until I get into single pixels for details. I’ll then crop the image down to size depending on what it is needed for. The final step is always scaling up the artwork and preparing the final layouts for the game. 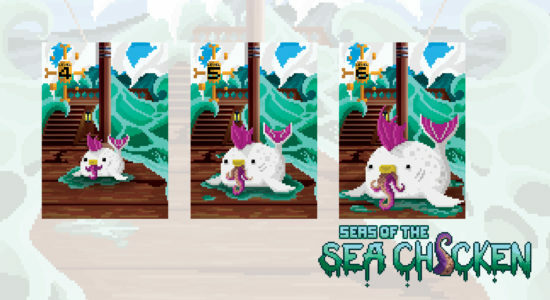 The pixel art is usually blown up to 1000% (10x the original size that they were painted in) and then text and numbering is added where appropriate. Finishing off an individual card is always a huge milestone but as the others are finished I will often go back and rework some others to keep them in-line stylistically or thematically as the game design progresses. Overall, I realise I may have made this sound like an arduous process. But, it genuinely is a labour of love. 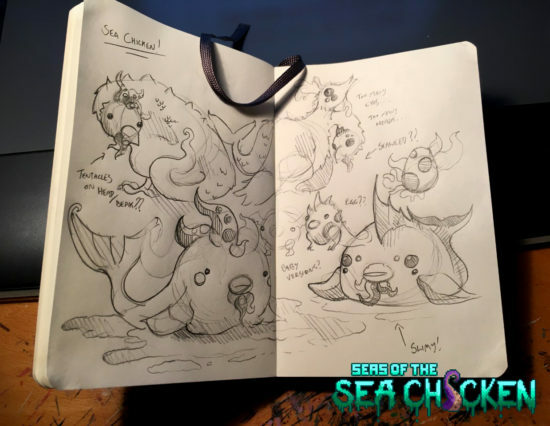 Every new piece of artwork I finish helps to expand the game’s universe and leads to unique stories for players to create with their friends. Every detail counts (always)! 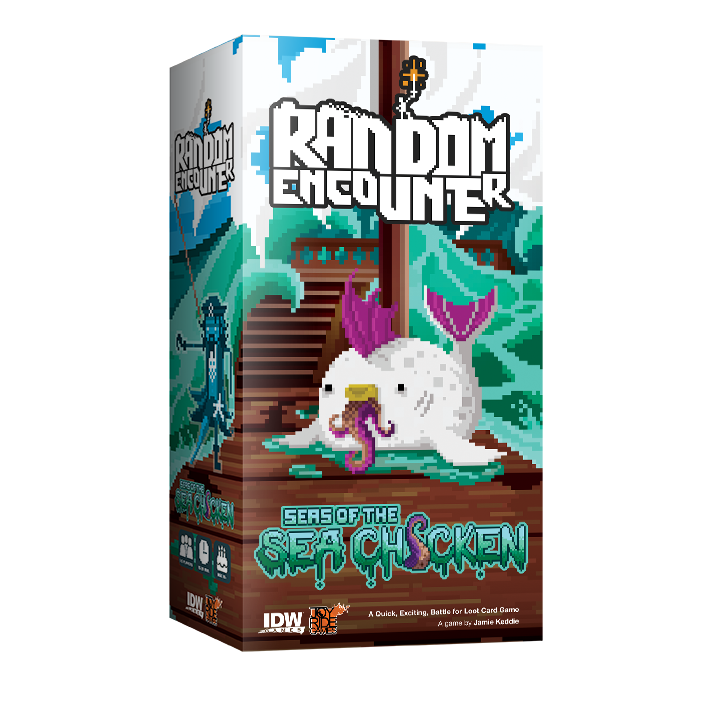 Random Encounter: Seas of the Sea Chicken will be hitting stores May 31st, 2017!